How Long Should You Roast Broccoli? Roasted broccoli makes a great side dish or first course. It is perfect alongside a meal that is rich or heavy because it is filling, healthy, easy to prepare, and delicious. 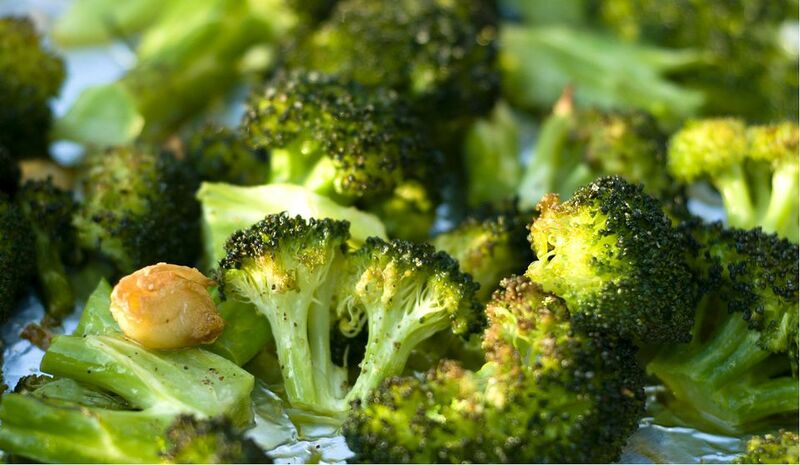 When oven roasting broccoli, your main goal should be to always to preserve the crunch and the bright green color. When roasting broccoli, the first trick is not to chop the florets too small. Small florets generally cook through before they have a chance to brown, so roasting is not the best option for them. Instead, chop the florets lengthwise so that a large, flat area of the stem is visible (the inner stems brown beautifully when flat against the baking sheet. Position oven rack on lowest level. Preheat oven to 360 F. Preheat baking sheet for 5 minutes as you chop and prepare the broccoli. Chop broccoli into large florets, slicing through the stem to maximize the number of flat edges. In a large mixing bowl, drizzle olive oil over florets. Grind cracked pepper generously over the bowl. Sprinkle broccoli with kosher salt and toss to distribute the oil, salt, and pepper. Use your fingers to make sure the broccoli is coated as evenly as possible. Due to the nature of broccoli, the flowers will not appear evenly coated, so judge by the flat ends, using the salt and pepper as your guide. You don’t want to use too much oil, or the broccoli will get soggy. Roast for 4 minutes and check, rotating sheet or flipping broccoli for even browning. If broccoli florets are uneven sizes, remove smaller pieces when they are done and allow larger pieces to continue roasting. Check every 2 to 3 minutes, using a timer. Serve alone or with lemon wedges and/or Parmesan cheese.